Taste of Blue is Rho Xi Zeta's annual celebration of businesses around the metro Atlanta Area. This popular event empowers small businesses, giving them increased exposure to hundreds of new buyers. Every year we empower small businesses by providing the space, the crowd, and the opportunities for them to show and sell their products to an exciting community of hundreds of attendees having fun for hours. 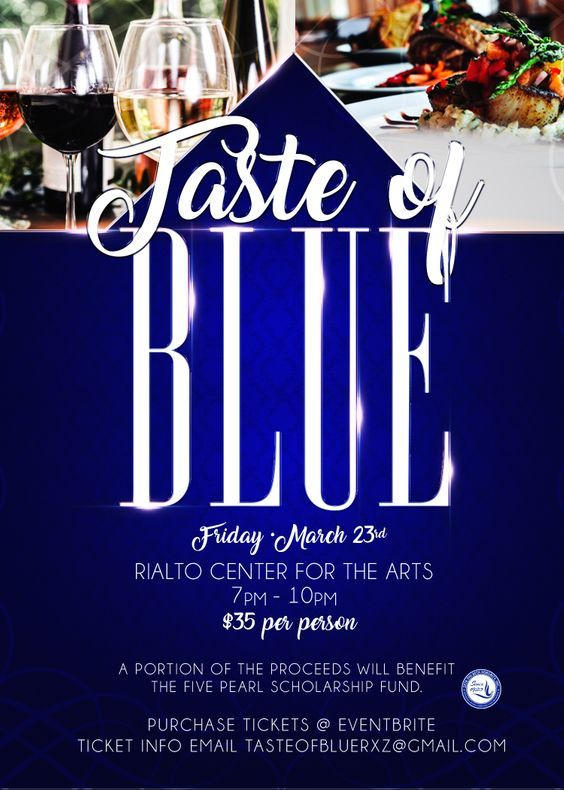 The Next Taste of Blue is March 22, 2019 from 7 - 10pm. Rho Xi Zeta's annual Taste of Blue celebration will be Friday, March 23, 2018 at the Rialto Center for the Arts! From 7 p.m. - 10 p.m., patrons will enjoy entertainment, unlimited food and wine from restaurants, chefs, and caterers from in and around the metro Atlanta area.